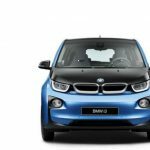 The 2018 BMW i3 is an electric car from the automobile manufacturer BMW. 2018 BMW i3 is part of the BMW i brand, newly founded in 2010, and the first production vehicle with a passenger compartment made of carbon-fiber reinforced plastic (CFRP). The drive is an electric motor with 125 kW. The range in the standardized driving cycle is 190 km. Optionally, a range extended 25-kW range-extender ( plug-in hybrid ) is available to increase the range. During its use, the drive operates according to the principle of the serial hybrid drive. Production began in September 2013 at the BMW plant in Leipzig. Sales started in Germany on 16 November 2013 and in the USA on 2 May 2014. 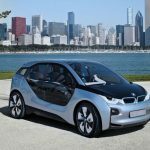 On May 2, 2016, BMW presented a new version of the BMW i3 with a 33 kWh accumulator, which has a 50% greater capacity and electrical range. It will be delivered from July 2016 onwards. The range in the standardized NEDC cycle is 300 km. BMW provides a realistic range of approx. 200 km under everyday conditions. 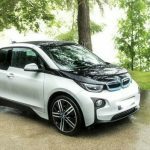 BMW is planning to launch a version of the BMW i3 from 2018 onwards, which is to be extended to 450 km due to improved cell chemistry with otherwise unchanged battery dimensions. 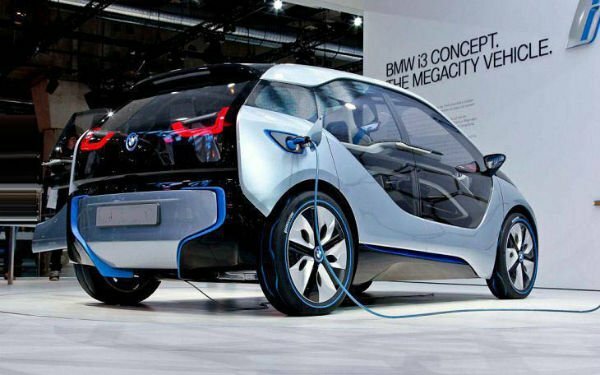 The BMW i3 is about 4 meters long and has four seats. It consists of an aluminum chassis and a passenger compartment made of carbon fiber reinforced plastic (CFRP). This combination of materials is lighter than an all-steel body so that the overall weight of the vehicle, despite the heavy traction battery, is at the level of similar vehicles with an internal combustion engine. The outer skin, with the exception of the roof, is made of thermoplastic elastomers (PP/EPDM) . 25 percent of the thermoplastic outer parts are made from renewable materials or recycled. The roof is made of CFK. The instrument panel and door panels are made of natural fibers. The vehicle has a 260-liter luggage compartment, which can be extended by folding the backrest back into a flat loading area with a loading capacity of 1100 l. In addition, there is another small storage space under the front flap in the front of the vehicle. Since there is no engine to be supplied with cooling air, the BMW kidney is completely closed. There is no center console underneath the 2018 BMW i3 dashboard, which means a lot of legroom for the front passengers. The direction of travel is selected with a rotary knob on the steering column. The front seats and the steering column are adjustable. A display with the necessary driving parameters (eg speed, range) is located directly in front of the driver on the arm support. A second display in the center of the armature carrier is available, for example, for radio information or the navigation device available as a special equipment in two possible sizes. The operation is mainly via a central rotary push-button (“iDrive”). 2018 BMW i3, is the first electric car of series with the body of carbon fiber. Carbon fiber is as strong as steel with 50% of the weight. Compared to aluminum it is 30% lighter. The body has two modules. The cabin module is built with carbon fiber and the engine module is 100% made of aluminum. The engine module is very compact and there is no bulging in the ground due to the transmission of conventional vehicles. 5 It has no central pillar between the doors. The doors open in opposite directions for easy access. Inside 2018 BMW i3, the interior passenger compartment is similar to a BMW 3 Series, while the exterior size is similar to a BMW 1 Series. 2018 BMW i3 has the seating capacity for 4 passengers. The trunk has a capacity of 260 liters. With the rear seats lowered has 1100 liters. 25% of the plastics of the interior and 25% of the thermoplastic parts of the exterior are made of recycled materials or renewable materials. The 2018 BMW i3, engine module is composed of a 22 kWh 204 kg battery, electric motor, front MacPherson strut, multilink rear and other structural components. The battery is in the back. The center of gravity is very low. The electric motor to the drive was developed by BMW itself and weighs about 50 kg. It is installed on the driver’s side, below the trunk floor, above the rear axle, 2018 BMW i3 is a hybrid synchronous motor with a peak power of 125 kW (170 hp) and a torque of 250 N.m. The drive is applied to the rear wheels by means of a single-stage gearbox. The top speed of the vehicle is limited to 150 km/h, from 0 to 100 km/h the car accelerates in 7.2 seconds. The average energy consumption during the driving cycle is 12.9 kWh per 100 km. The range is supposed to be around 130 to 160 km, with an “Eco Pro +” energy saving mode about 200 km (values for the 60 Ah version without REX). 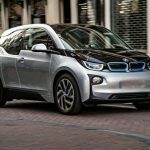 2018 BMW i3 price starts at 35,500 euros.